Amazing web created by the teacher from Logroño Pedro Felipe de la Iglesia Diéguez. 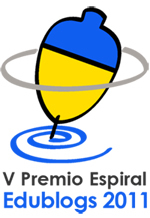 This web has been awarded by the Consejería de Educación y Cultura from La Rioja. Theory, word banks, exercises, links, guides.... If you are studying English (especially if you are a 3rd-4th year ESO student) and you want to improve your pronunciation, this is your web.